The city of Chicago is about to get a whole lot more connected. With last year’s decision to rezone the North Branch Industrial Corridor for residential and commercial redevelopment, the city is expecting significant growth in the neighborhood’s population. As developers enter early-stage planning for apartment towers, high-rise office buildings, and hotels, the city is proposing new transit options along the Lincoln Park and Bucktown banks of the Chicago River to accommodate the expected surge of new commuters. And as the 760-acre North Branch corridor says goodbye to heavy industry, it could be saying hello to light rail. Lincoln Yards — the largest proposed development in the corridor — is the primary catalyst behind plans for a light rail line linking the North Side to Downtown Chicago. The new line would be one of several transportation initiatives intended to speed up commutes and reduce traffic for future residents. Thanks to the corridor’s pre-existing industrial infrastructure, underused freight train tracks running through Lincoln Yards could be repurposed for the proposed light rail line. Sterling Bay, the developer behind Lincoln Yards, is working with the city on the early-stage transit project, which may extend as far south as Grand Avenue and could connect to other downtown stations. Though plans have yet to be finalized, and funding remains an unsettled issue, the North Branch Corridor light rail is a promising project for an up-and-coming area of the city. With winters as cold as Chicago’s, plans to build any new rail line will need to be accompanied by an effective anti-icing and deicing strategy. That’s because frozen tracks can cause service delays, shutdowns, costly maintenance problems, and even structural damage — all of which keep commuters and residents from getting where they need to go. Since its founding in 1975, Midwest Industrial Supply, Inc. has provided industry-leading anti-icing and deicing products for mass transit systems all across the United States and Canada. Midwest helps rail operators protect their systems from the threats of cold weather with precipitation through the proper application of our patented Zero Gravity Third Rail® anti-icing agent. Developed in partnership the NASA/Ames Research Center, the product coats third-rail surfaces to keep ice and snow from bonding with the metal. That means you can keeps your trains on schedule and maintain maximum safety for passengers. 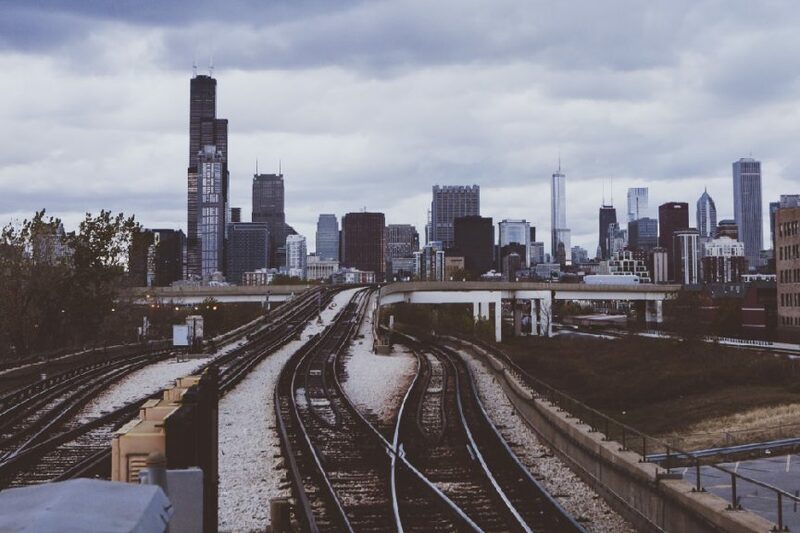 Regardless of the city or the season, Midwest is here to help protect your rail transit infrastructure for decades to come.